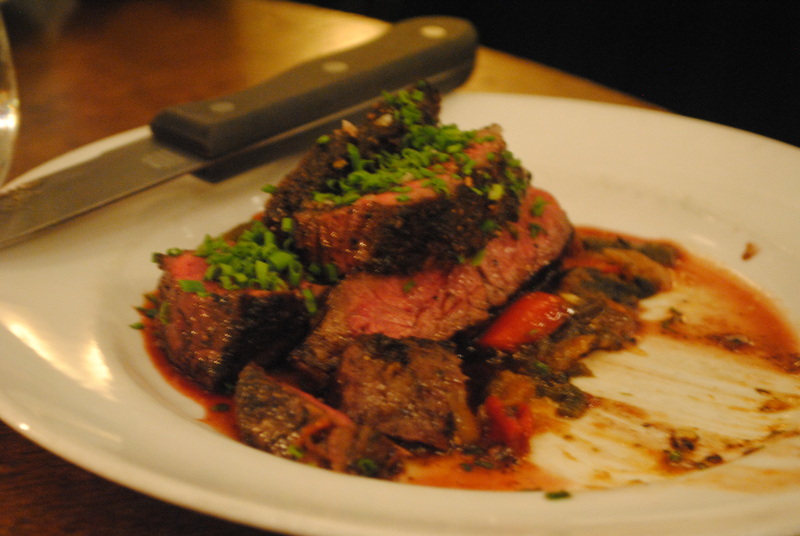 Tale #43 The Beast Goes to New York and Eats a Lot of Food… Again. The beast has ventured back to its mother land and has now returned again to London to reflect on the massive food consumption that occurred between the end of 2013 and the beginning of 2014. A seemingly unimpressive restaurant from first glance, Barbuto occupies an airy garage-like space that has a utilitarian warehouse-esque feel, enhanced by white-painted brick walls (which somehow seem to not feel cold even in the dead of winter), and an open kitchen where one can see the rotisserie chickens spinning round and round in a frenzied yet rhythmic like fashion. 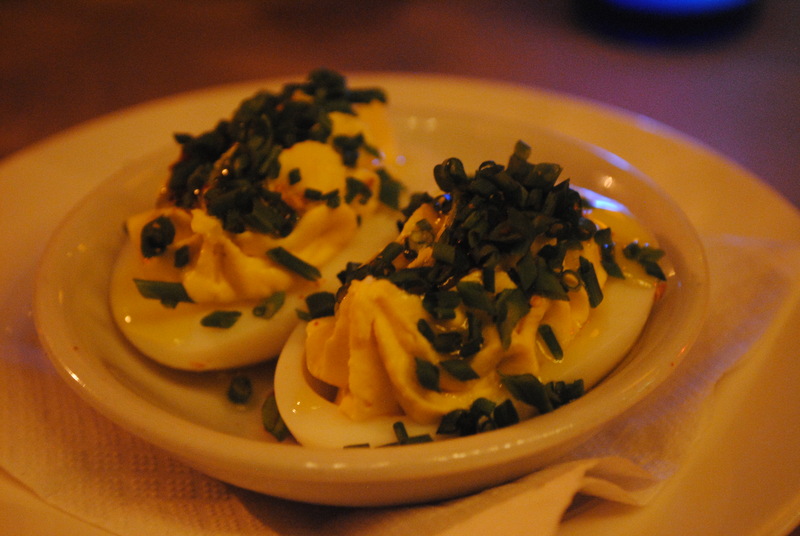 It’s a bit difficult to classify the fare — Italian American European bistro I might call it. 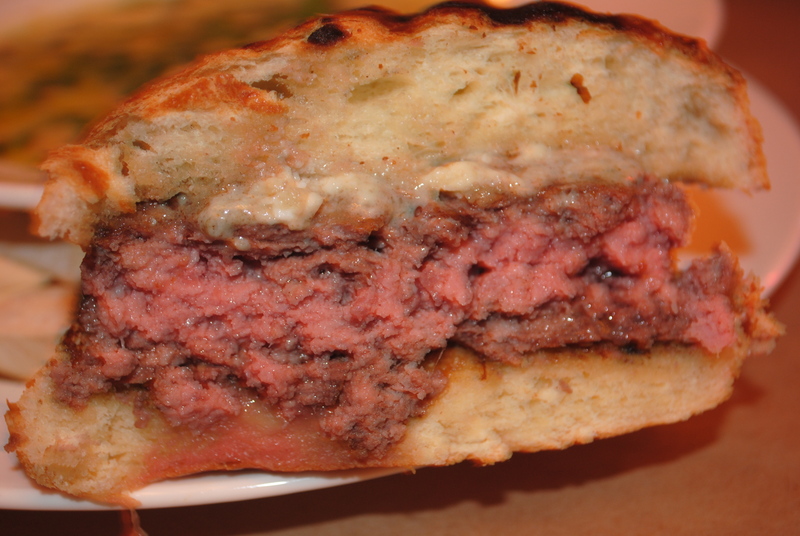 Nertheless, pretty much everything on the menu is good. That’s all you really need to know. But please feel free to read the rest of the review. The cappe sante ai ferri (sea scallops, romesco & olives) are perfectly cooked, the manzo con salsa piccante (prime hanger steak with chilies) is extremely tender, salty and delicious, or you can try the famous chicken, Chef Waxman’s pollo al forno, JW chicken smothered in a rich, lemony salsa verde. 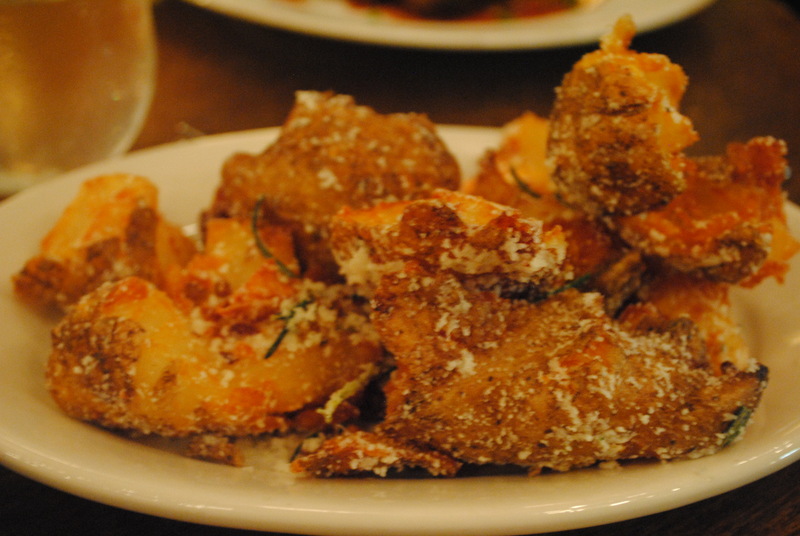 The sides should not be ignored either: the patate (potatoes) are sprinkled generously with pecorino & rosemary and cooked to a crisp. The hip trendy version of the classic French frites. 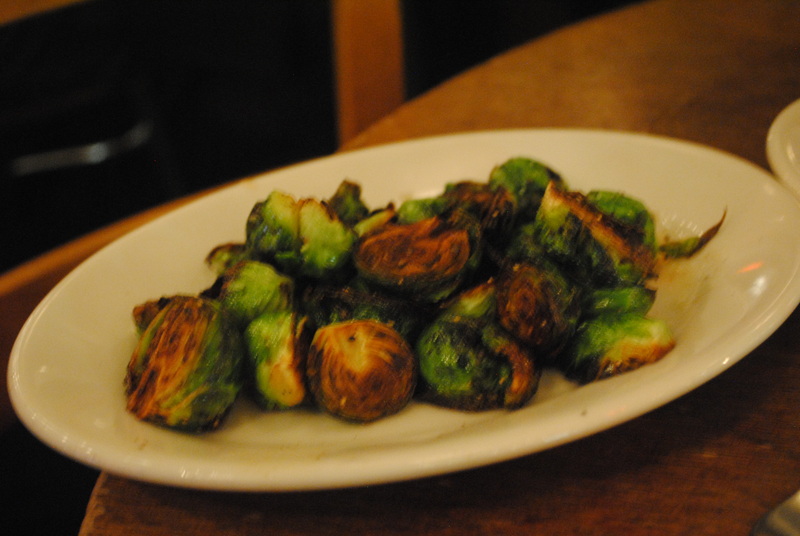 There are also cavolini (brussels sprouts & red wine vinegar) for those who do not recoil in disgust at the thought of eating said leafy green vegetable. The wine offering is not too bad either — the rosso toscana (sangiovese & cabernet) was one of the best red wines I have had. 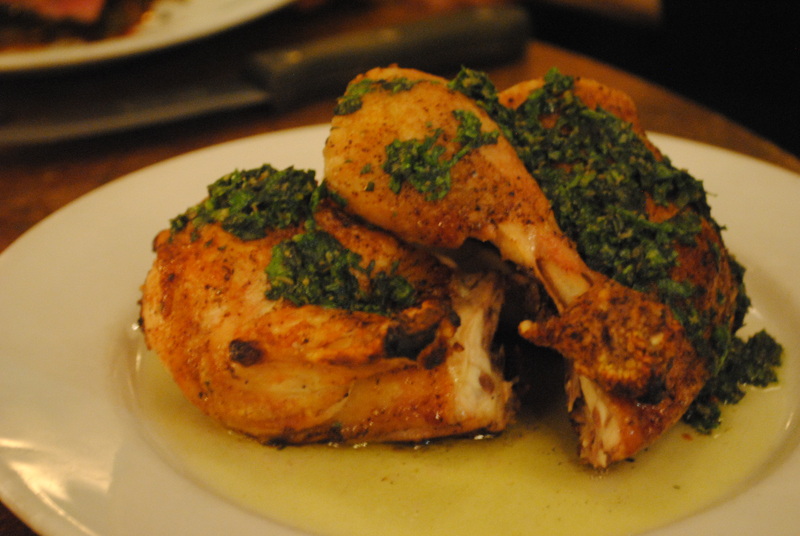 Barbuto’s menu changes daily according to the quality of produce and seasonality of ingredients — however, the roast chicken is something that pretty much remains on the menu regardless of season. Whether or not I would’ve ventured here if I hadn’t been residing in the West Village during my visit is something to consider. Perhaps maybe more of a trendy spot for the locals rather than a draw to those far and wide, the food is reliable, the atmosphere cheery, and the prices not too steep considering its location. Worth a return. This restaurant is only appearing on the Rav B because I waited 3 hours and 10 minutes for a table to eat here, which is the longest the beast has ever waited in the history of beastly existence to eat at a restaurant. 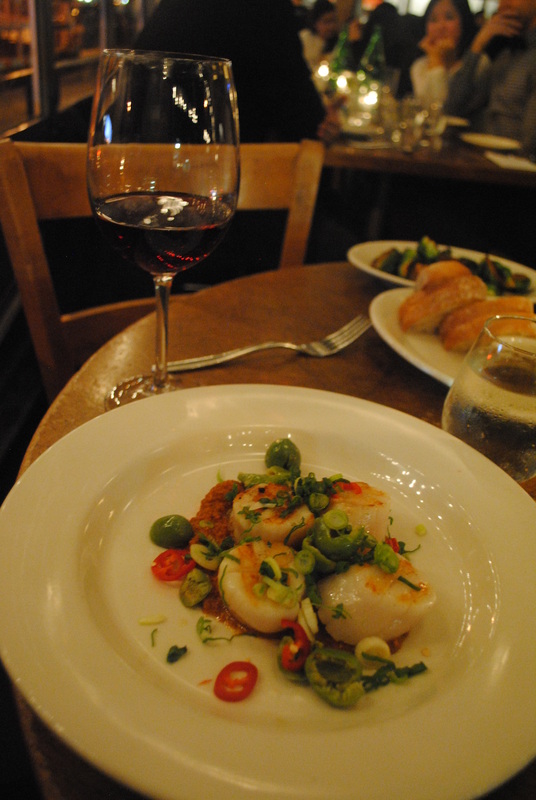 Therefore, the dining experience will be documented because by god I did not wait that long to eat to NOT write about this restaurant. Firstly, I am quite surprised so many people have said this place is incredible. That’s a pretty strong word. Also, New Yorkers seem to write that this place resembles a London pub. I don’t know of a single self-respecting Londoner that would wait for a table at a pub. for 3 hours and 10 minutes. Just.. no. 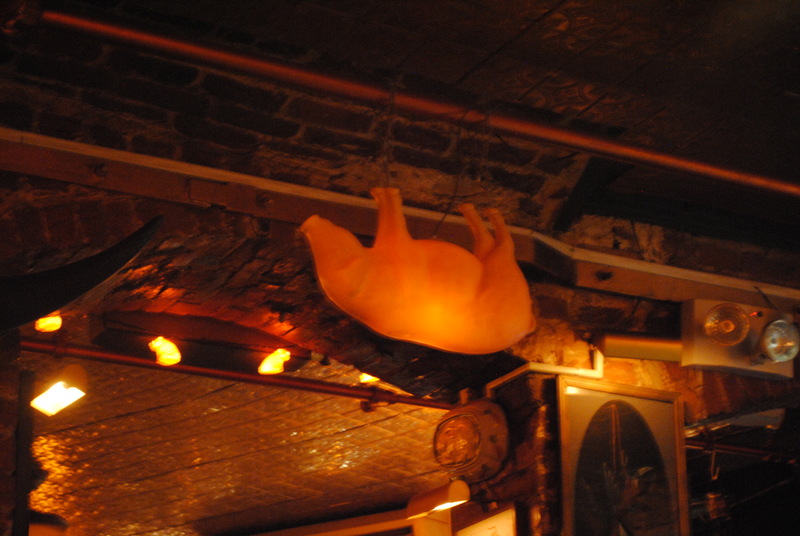 The decor is cute, I’ll give it that, I mean who doesn’t like looking at quirky little pig trinkets and pigs hanging upside down from the ceiling? 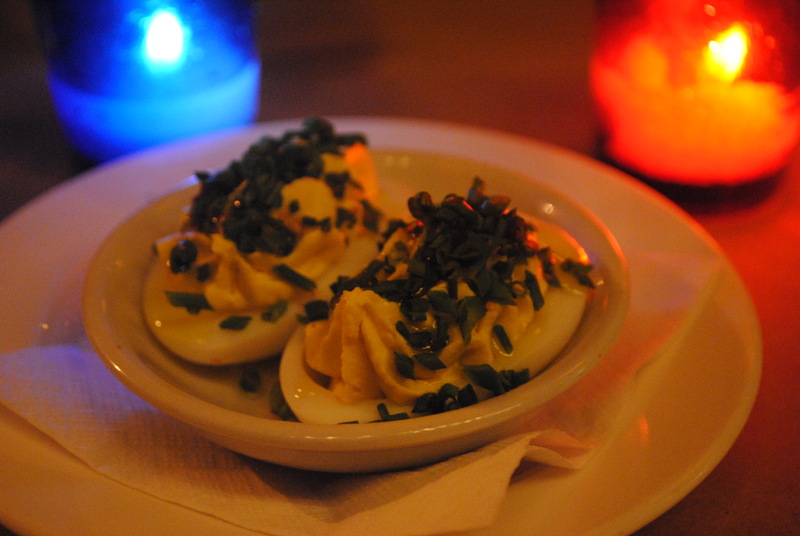 The deviled eggs were wonderful despite the fact that they were drowned in chives. Someone may as well have shoved my head inside a bag of chopped chives and told me to start munching. Shame really, the eggs themselves were quite delightful once I scraped about 80% of the topping away. 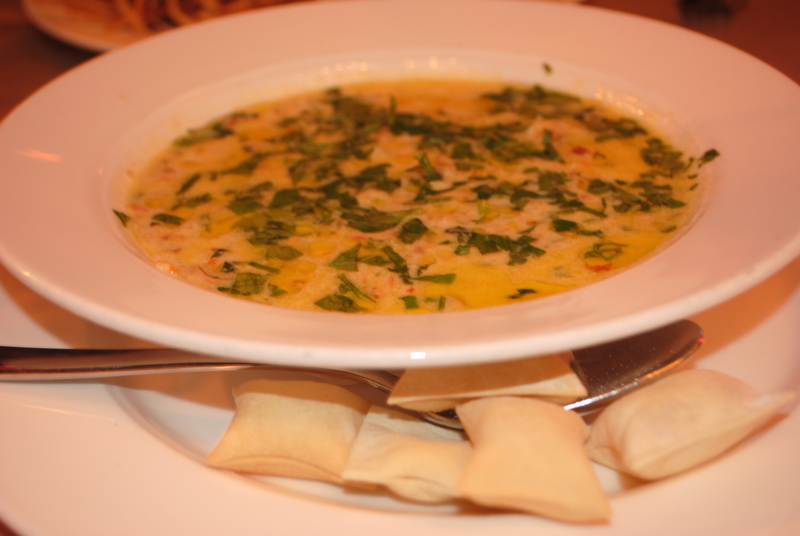 The smoked haddock chowder with house made crackers was good but oversalted. 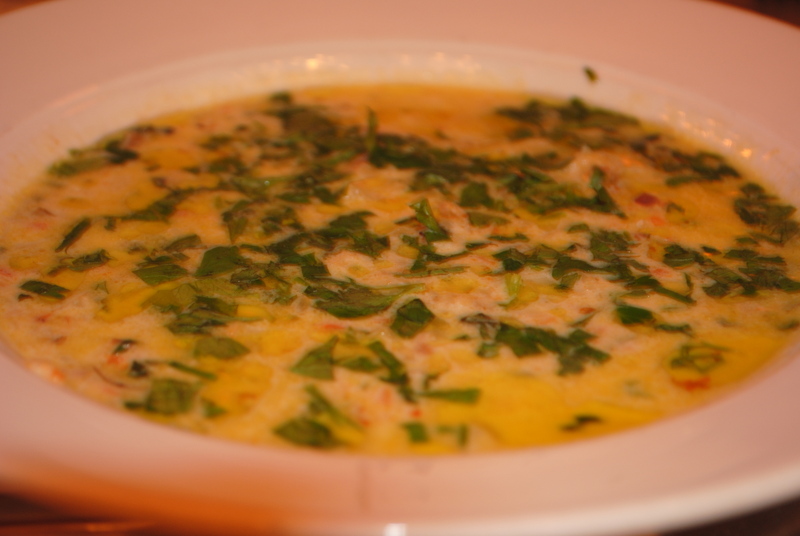 Once again, as evidenced by the visuals below, the chefs were a little too herb happy. The soup also only came with 5 of these ‘homemade crackers’ — clearly they were so intricately made, the kitchen could only muster up the ability to make 5 for me. Oh dear! 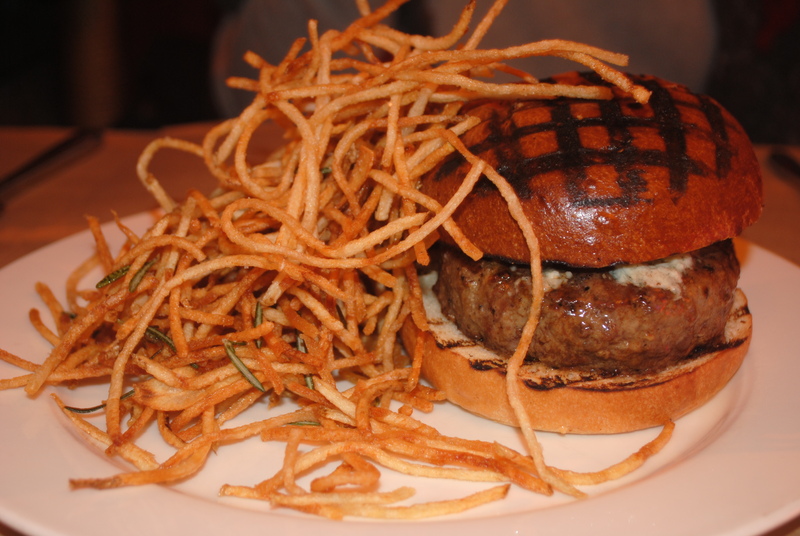 The chargrilled burger with roquefort cheese & shoestring fries is probably the best thing on the menu; the quality of beef and the strong cheese make for a solid burger. 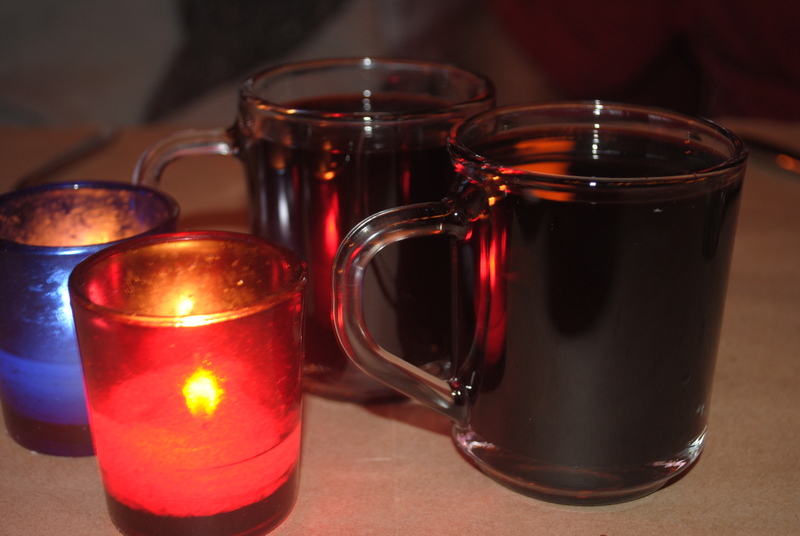 I will also have to admit that the mulled wine was absolutely delicious, perfect on a cold evening. Those are all the nice things the beast has to say on this matter. This pub wannabe is not worth the wait. 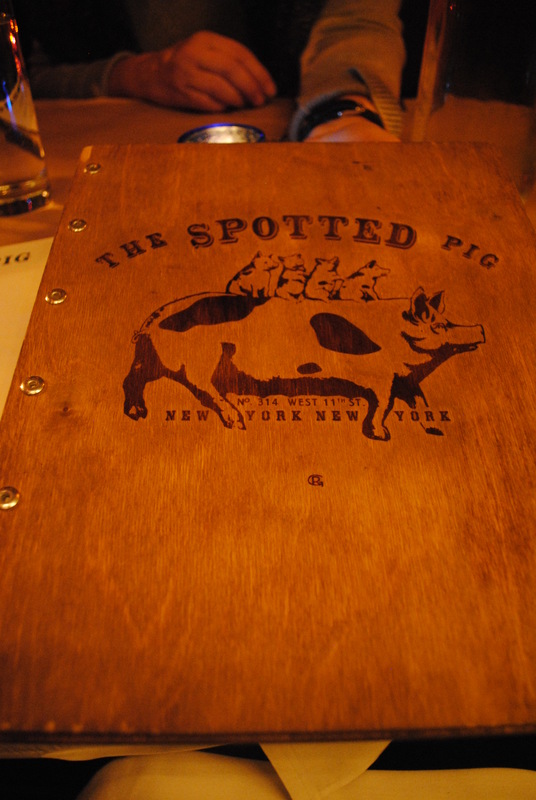 Frank Bruni said it best in his review: ‘Like so much in life, the Pig proves contradictory truths: that New Yorkers are fools, willing to endure any manner of nonsense to run with the pack, and that New Yorkers are sages, able to divine and embrace genuine merit in the middle of bedlam’. On that note, if I am ever dragged back on a Pigward journey, I’ll make sure to eat my dinner beforehand so I don’t experience gnawing hunger for hours on end. Other restaurants during this trip that deserve honorable mention are Parm (which I already wrote about, but is so good it should always be mentioned), Mighty Quinn’s BBQ, and Sauce. Sauce is an amazing Italian restaurant that serves all the best classics and then some — the menu is extremely overwhelming, but in a good way. Crostini del Giorni, the Italian ‘cheesy bread’ is exquisite and the ‘Plank’ house specialties are truly unique — pureed potatoes doled out gently across a thin wooden plank topped with braised short rib tortellini, wine gravy, and fresh pecorino cheese. The wine menu did not fall short of awesome either. This place has definitely spoiled the beast with quality Italian. 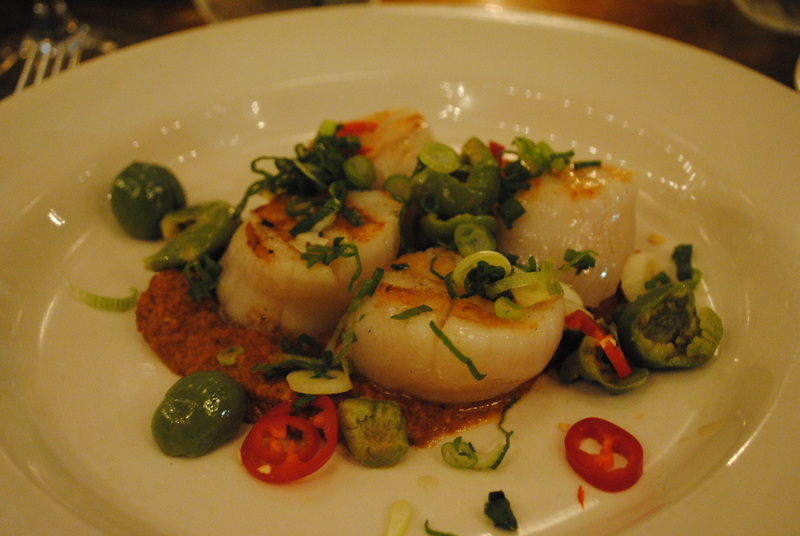 *The only reason these don’t have proper review are because I did not have a camera with me and I can not do these places justice without photos. Sorry. 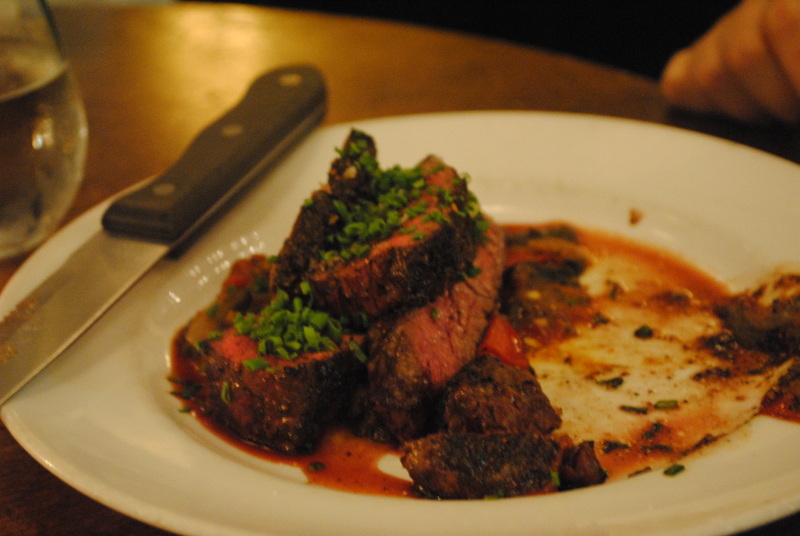 Back to London food adventures shortly..
Posted in Restaurant Reviews - New YorkTagged April Bloomfield, Barbuto, Jonathan Waxman, Mighty Quinn's, Parm, Sauce Restaurant, The Spotted PigBookmark the permalink.